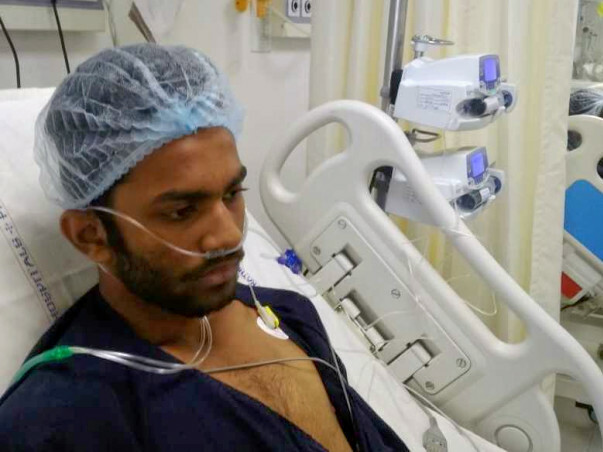 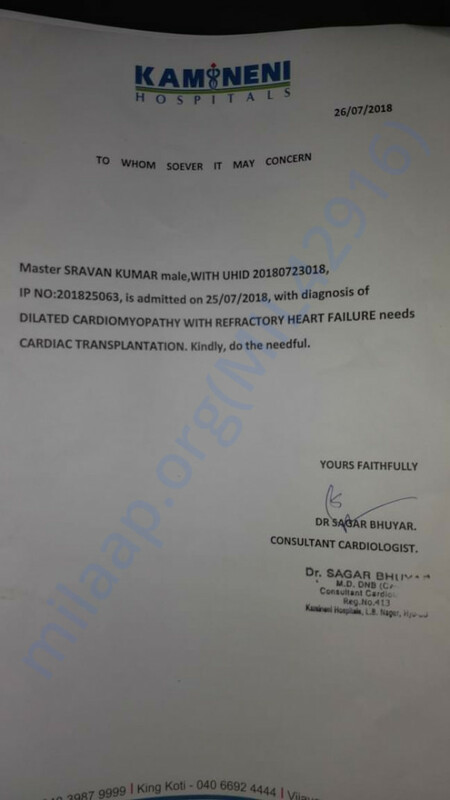 Need Funds for Heart Transplantation for My(Gilla Swathi) Nephew (17yrs Old) is suffering with Diluted Cardiomyopathy (Heart Failure) which we have came to know a month back from when he is been suffering with Breathing problem, Doctors are suggested for Heart Transplantation which costs 30 Lakhs, he got very short time to survive we are looking for strong Funds/Donations to save his life as his father is middle class employee cannot afford even for his Cardio test which cost (3 Lakhs initially) to start searching for New heart to transplant. 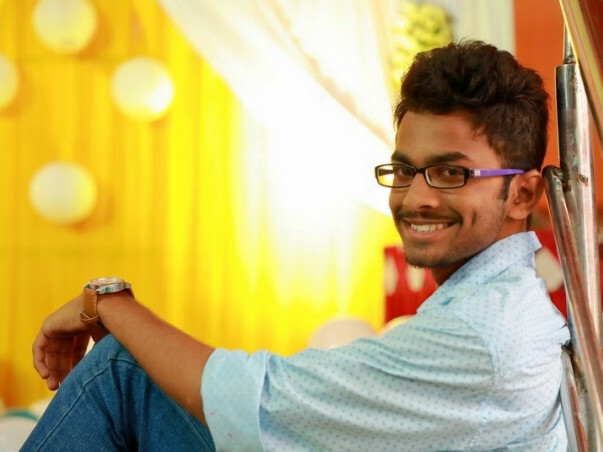 Family Background: Down to Middle class Mother House wife, Father Small employee working in Universal Envio Associates as operator, brother (21Yrs) left his studies since a month for him working in Newtech Graphics. 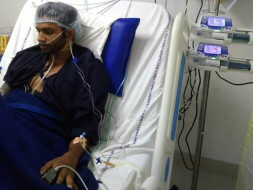 Wish you a speedy recovery and hope you have a good life ahead.